V.A. 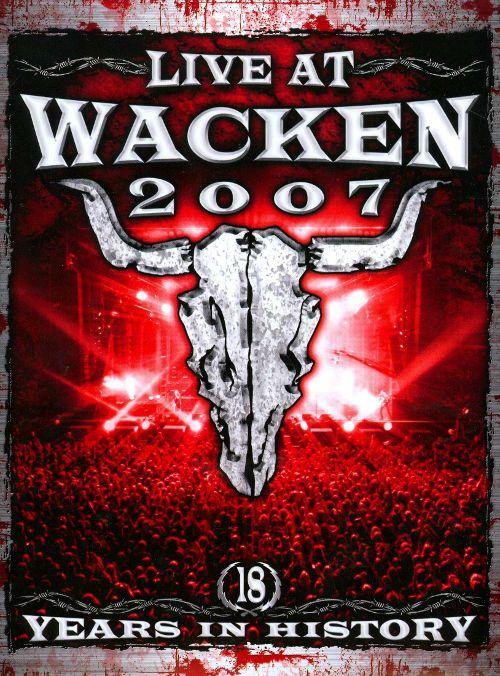 - "Live At Wacken 2007"
If you think bigger ain’t possible – watch this dvd! After the hugely successful Wacken 2006 things became even bigger in 2007: „SOLD OUT!“ it was announced even before the festival had started. 70,000 crazy metalheads celebrated the biggest metal party of the world. Not for nothing the W:O:A was chosen as Festival Of The Year at the Live Entertainment Awards in March this year. You can now bring this mega event to your own home. This dvd will be released as a double disc in form of a digipack. More than 40 bands and 60 live tracks, 300 minutes play time, 2.0 and 5.1 sound, documentations, etc. In addition, there will be a limited premium edition with a supplementary dvd including more live material and documentations which adds up the total play time of the package to more than 8 hours. Featuring: BLIND GUARDIAN, OVERKILL, DIMMU BORGIR, LETZTE INSTANZ, SCHANDMAUL, SUBWAY TO SALLY, SAXON, NAPALM DEATH, VOLBEAT, J.B.O., ICED EARTH, IMMORTAL, HEAVEN SHALL BURN and many more bands.